B.A. in Piano and B.M.E. in Instrumental Music from Northwestern State University. Orchestra teacher in Metro Nashville School System. 18 years teaching experience in Louisiana, Georgia and Tennessee. 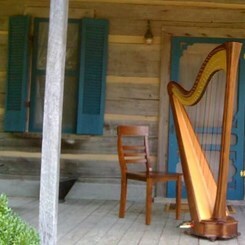 Harp lessons available also. Request Lessons with Amy today!